Got all of my stuff moved into Jamesport yesterday. The apartment isn't quite ready, so it's being stored in the barn at the Inn. Had the opportunity to have dinner with my roommate last night at one of my favorite NYC restaurants The Spotted Pig. 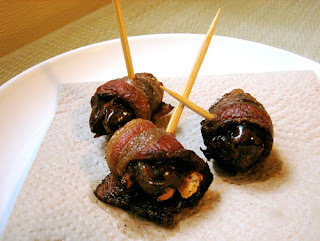 Started with some of their incredible pickles, chicken liver on toast, and something called Devils on Horseback. 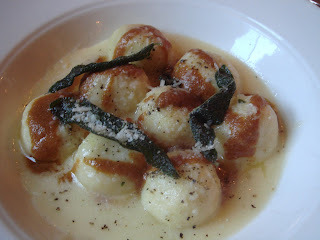 Next we had a little appetizer of sheeps milk ricotta gnudi with brown butter and sage. This dish was near life changing. On a final note, just thought I'd share a great website I found about salt. I've personally written about the subject several times, and believe that learning how to properly season food is one of the most basic and important skills a cook can posses. It's just as important for a home cook to know how to properly salt food. It really does make all the difference. Check it out at Salt101.com!